Galaxy Note4: Can I change the wallpaper on my Samsung Note?? 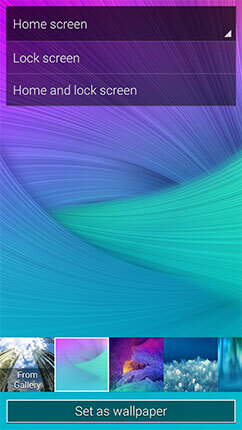 • Live weather: Have your device display pictures on your lock screen based on your location and the weather. Touch to change the temperature Unit and Auto refresh interval. Touch Wi-Fi® Only to only download pictures when connected to a Wi-Fi source. 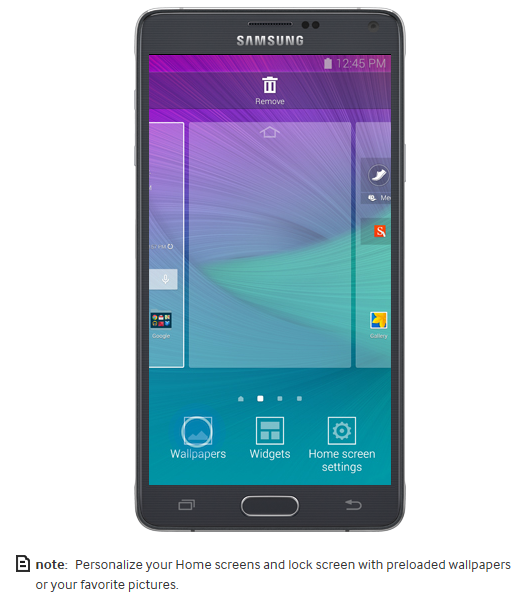 Galaxy Note4: How do I take screenshots on my Samsung Note? ?